Shopping for a new mattress can be a daunting task, and it’s especially difficult if you’re in the market for something unique like a natural or organic mattress. Searching for the best natural mattress is a task that many sleepers find challenging after learning about the dangers of harsh chemicals and fire retardants that may be in their bed. 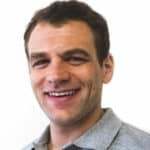 It is my hope that after reading this guide, you will have all the tools you need to successfully pick the best natural or organic mattress. Want more info on natural mattresses? Click here to go straight to my natural mattress buying guide! Below are some of my personal favorites (reflecting my own preferences and biases, of course) for natural or organic mattresses. Read on below for an explanation as to why I put these as my top picks! All-natural latex makes the Zenhaven an organic and plush mattress, fantastic for side sleepers. Plus the mattress is flippable with two firmness options, so you get two changes to find the right firmness that alleviates pressure on your hip and shoulder. 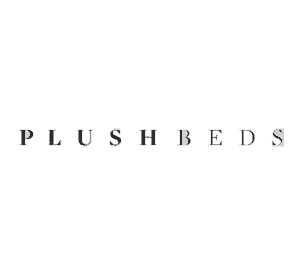 Plushbeds is almost synonymous with natural latex - and there's a reason, they are great at it! Start here if you are looking for a truly natural bed. Memory foam is definitely not natural or organic - but Loom & Leaf does try more than most by incorporating some plant-based foams into their design. 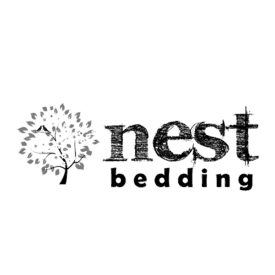 Check out the Nest Alexander Hybrid and select the latex comfort layer for a near natural hybrid! An incredibly comfortable mattress that goes the extra mile when it comes to natural materials. Composed of all-natural latex and pocketed coils, the Avocado is as eco-friendly as it is comfortable. Though latex has a reputation for the foam that sleeps cool, Avocado has a few additional features in its design that make it sleep even cooler. 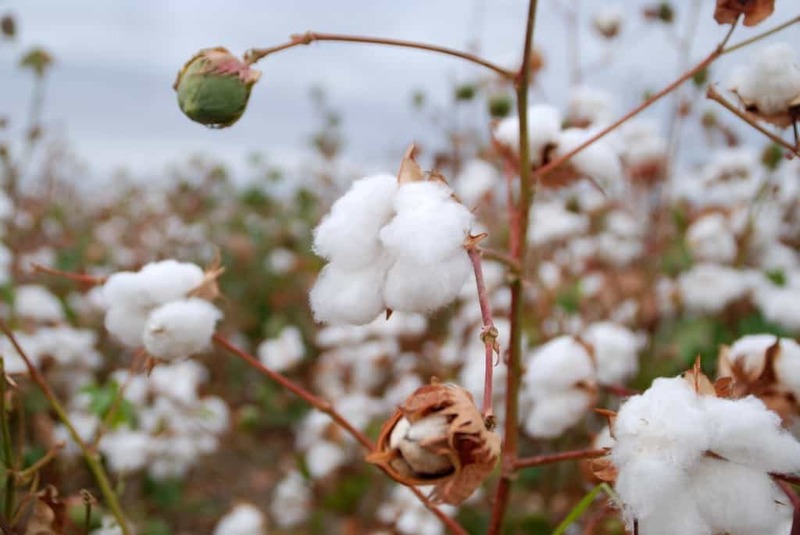 Is your cotton, organic cotton? Why the Demand for Natural and Organic Mattresses? It should be no surprise that the word “organic” is slowly creeping its way into the mattress market. It’s in the supermarkets up and down every aisle. It’s on your cereals, your produce, and even your milk and eggs. But what is the hype all about, and is it worth carrying your love for “organic” into the bedroom? First off, let’s ask the question: Why the sudden push toward natural or organic mattresses? In the 1970s, we saw the first required use of flame retardants in mattresses. This law was imposed to address fires caused by smoldering cigarettes, the leading cause of deadly mattress fires at the time. The turn of the century brought a decline in smokers but the need for a new law. In 2007, a law was passed that required mattresses to not only resist the smolder of a dying cigarette but also the open flame of a lighter, match, or candle. While this decreased the number of deadly mattress fires, it also opened the door to a new and dangerous threat: highly toxic flame retardants. Flame retardants are extremely harsh chemicals that can have lasting effects on your body. The worst of them are polybrominated diphenyl ethers (also known as PBDEs). PBDEs are linked to decreased sperm count, thyroid problems, slow brain development in newborns, and even cancer. These particles can be released into the air and absorbed from products when TVs or computers heat up, while sleeping on a mattress, or when products degrade. As the world began to explore fire retardant chemicals and barriers to satisfy the new regulation, people began to slowly wonder about the effect on their bodies from these chemicals, especially while they were sleeping. The result ended up being a strong push toward natural and organic mattresses. In this guide, we’re going to talk through a number of different mattress recommendations, but it’s important to remember through all of this that all mattresses fall on a spectrum of organic, natural, and healthy. It is true that some mattresses are 100% natural and organic from top to bottom. 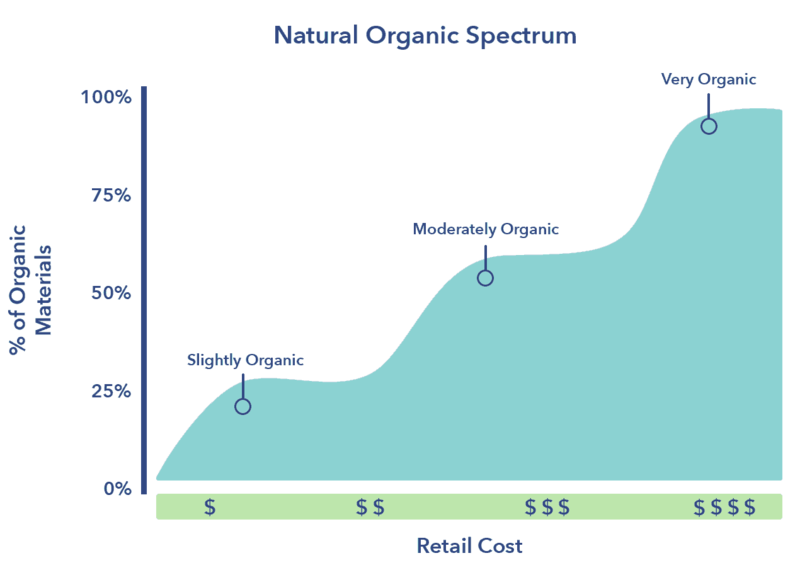 However, most fall somewhere along a spectrum from 0% organic/natural to 100% organic/natural. Generally speaking, the closer to 100% organic, the more you’re going to pay. While having a 100% natural mattress is wonderful, it’s not always in the budget for many sleepers. There are a number of quality mattresses that are 20-50% natural/organic but are still excellent mattresses because they are targeting the material components that come closest to sleepers. Loom & Leaf is a good example of this type of half-organic mattress. Loom & Leaf uses a natural thistle fire barrier, organic cotton cover, and some plant-based foams. Of course, some of the foams are not plant-based and the percentage of plant-based material is not tremendously high, but it is a good step in the right direction and quite affordable. Also, I do think it’s important to note the distinction between natural/organic and healthy. A mattress may not be organic/natural, but the materials may still be healthier than those in many other mattresses on the market. 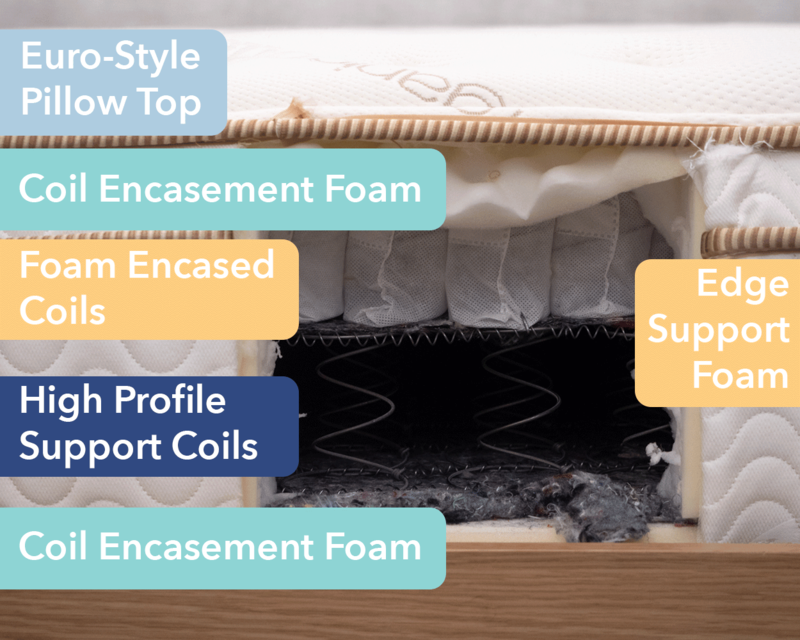 There are many mattresses that use CertiPUR-certified foams (see below for more info), which indicates that the foams exclude a number of harmful chemicals and substances. These types of mattresses can still provide a healthy sleeping surface, even if they are not certified as organic or natural. For this guide, we’ll be focusing on those mattresses that are certified to one or more natural, organic, or eco-friendly standards and/or those mattresses that use one or more organic/natural components, but if you are interested in all mattresses, see my full mattress reviews list. How Do Organic and Natural Mattresses Meet High Flammability Standards? There are several different ways a mattress can meet the high standard set by the 2007 regulation. The first method is that the surface of the mattress can be sprayed or soaked with fire-retardant chemicals. However, this method is no longer permitted due to the obvious risk of coming in direct contact with these dangerous chemicals. The second method involves the use of fire-retardant foams, but this method also uses PBDEs and other hazardous material. The first two methods obviously are not organic in any sense of the word. The last method is the one that most manufacturers use today (natural and conventional), and that’s using fiber or fabric barriers to enclose the interior of the mattress, where most of the combustible material is found. Silica-based fire socks that encase the mattress (between the foams and the exterior mattress cover) are the most common. These fire socks melt in the event of a fire, smothering the flames. Thistle and wool are more natural alternatives; both of these prevent fires in a similar way. What Is an Organic Mattress? So what makes a mattress truly organic? Beyond the fact that it doesn’t contain harmful flame retardants and chemicals, are there other criteria it has to meet? Absolutely. To bear the label “organic,” a mattress must be tested by a USDA-approved third-party certifying agent and earn a special certification. 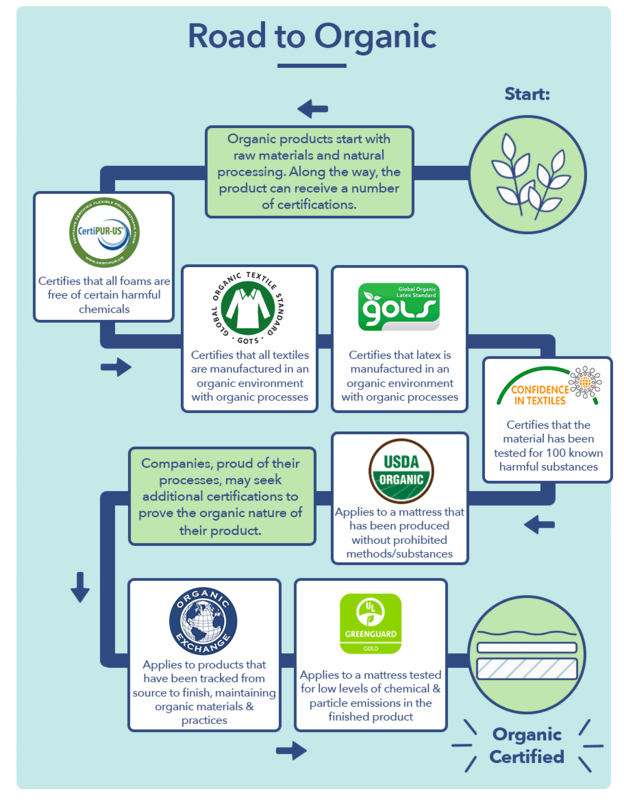 There are many different types of certifications a mattress can earn, but most of them mean that a large portion of the raw materials are organic and organic processes were used in manufacturing. CertiPUR-US certified foams are made without ozone depleters, PBDEs, TDCPP, or TCEP flame retardants, mercury, lead, other heavy metals, formaldehyde, and phthalates as regulated by the Consumer Product Safety Commission. They also produce low VOC emissions for indoor air quality (less than 0.5 parts per million). GOLS (Global Organic Latex Standard) certified latex is produced in an environment where all materials and manufacturing processes to make latex adhere to strict and specific global organic standards. GOTS (Global Organic Textile Standard) certified materials are materials produced in an environment where all materials and manufacturing processes to make textiles adhere to strict and specific global organic standards. Organic Exchange certified applies to products that have been properly tracked from the source as a raw material to the finished product, guaranteeing organic processes and manufacturing. GreenGuard certified applies to a mattress that has been tested to ensure that its chemical and particle emissions meet acceptable indoor-outdoor air quality pollutant guidelines (low emission). Oeko-Tex Standard 100 certified latex has been tested for the presence of 100 known harmful substances. 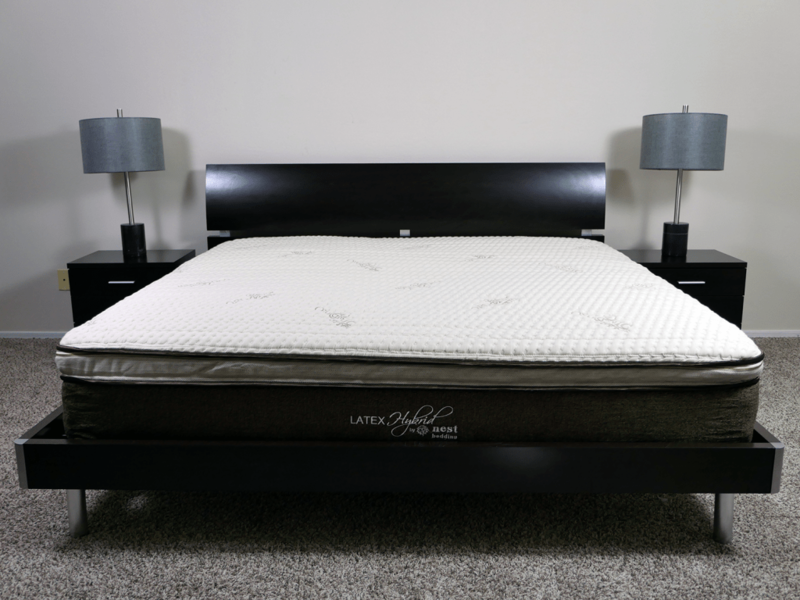 USDA Certified Organic applies to a mattress that has been produced without a prohibited method or substances; testing is regularly overseen by a USDA authorized certifying agent. What Are the Benefits of a Natural or Organic Mattress? Fewer Chemicals: A natural or organic mattress’s biggest draw is going to be its lack of harsh chemicals and toxic flame retardants. Many organic materials are naturally flame retardant. Sustainable and Biodegradable: For the environmentally conscious sleeper, this can be a huge positive. The manufacturing and materials mean a smaller environmental footprint. Many companies highlight their efforts in these areas. Hypo-Allergenic: Chemicals and flame retardants can sometimes cause allergic reactions, skin irritations, and even respiratory problems. Sound familiar? With an organic mattress, the materials are processed without the addition of any of these dangerous substances all the way from the plantation to your bedroom. Kid-Approved: Infants and children as especially susceptible to the harsh effects of dangerous chemicals. Choosing an organic mattress helps limit their exposure to these chemicals. What Materials Make the Best Organic and Natural Mattresses? 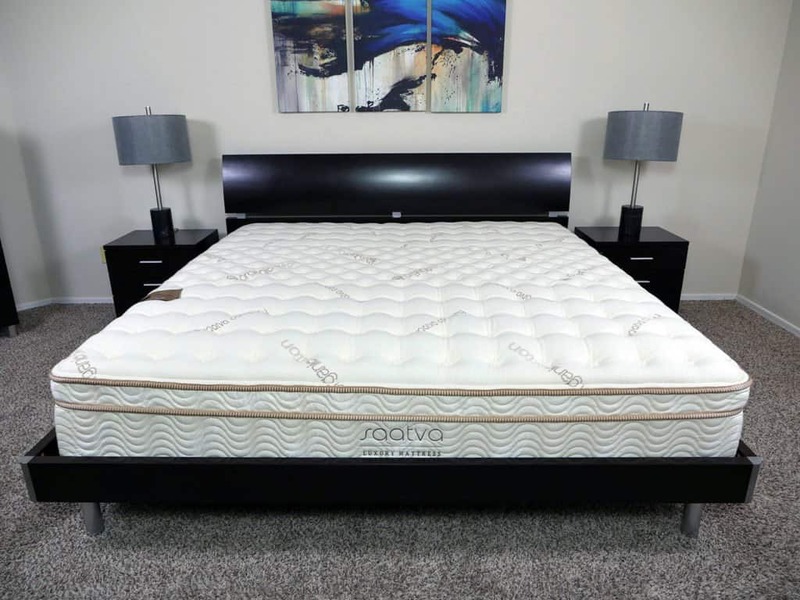 When it comes to shopping for the best natural or organic mattress, keep in mind that some materials are going to perform better than others in terms of sleep performance. For this guide, we’re going to look at latex, memory foams, coils, and poly foams. Memory foam is a polyurethane foam that has viscoelastic properties. 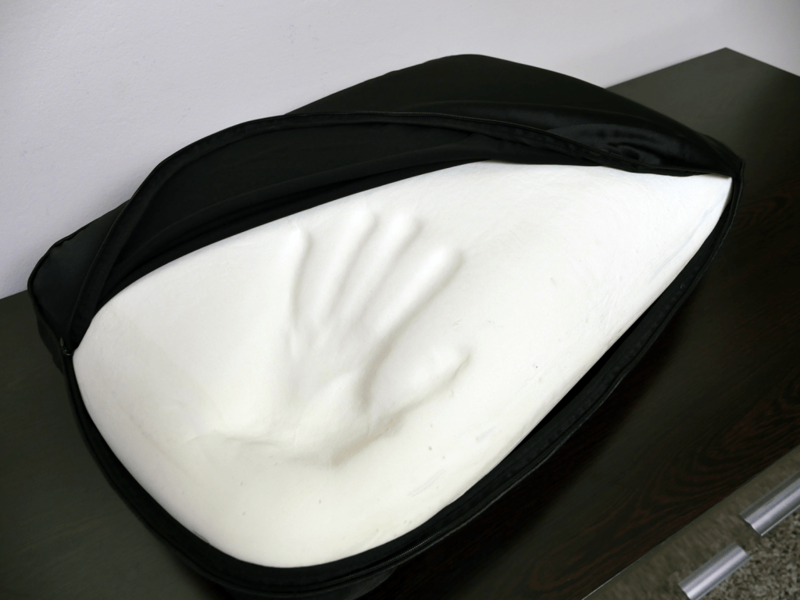 Memory foam is known for its ability to mold around your body. It has a slower response time, but with that comes a deeper amount of hug, compression, and pressure relief. What Is Natural Memory Foam? By definition, memory foam is made from polyurethane. Plant-based natural memory foams replace a portion of the polyurethane with plant-derived oil. 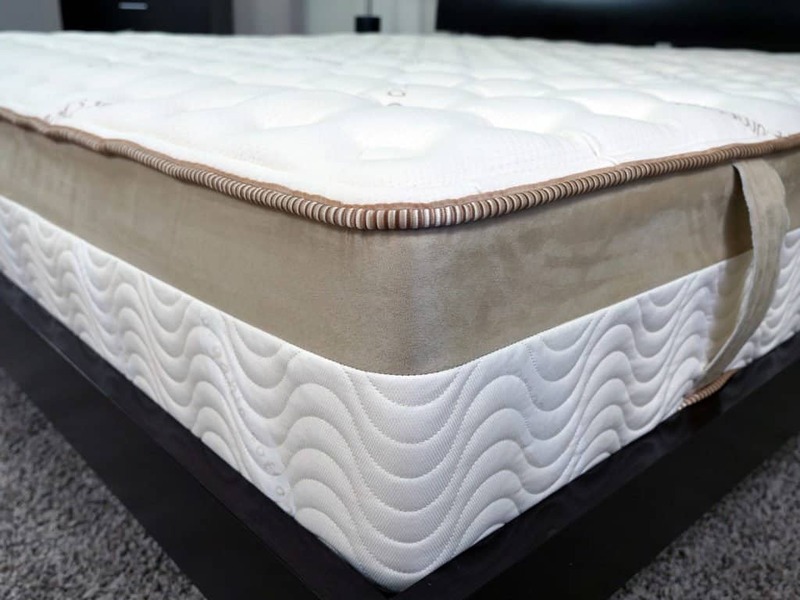 The use of plant-based foams or all-natural glues and binders are just two simple ways that you can enjoy all of the benefits of a traditional memory foam but in a gentler and more natural way. Additionally, memory foams can still be CertiPUR-certified, so while they may not be organic or all-natural, they don’t contain mercury, lead, heavy metals, formaldehyde, ozone depleters, PBDEs, TDCPP, or TCEP and have low VOCs. Poly foams fall into the same camp as memory foam. You cannot have a 100% organic poly foam because by definition, they require polyurethane to be manufactured. As with memory foam, this doesn’t necessarily mean they are unhealthy. They may still be CertiPUR-certified in addition to green, eco-friendly, and other health-conscious certifications. However, a poly foam will not be organic. Latex mattresses are also foam-based, but their foams are a little different than memory foams. Unlike memory foams that are made of polyurethane, natural latex foams are made from natural sap from rubber trees. 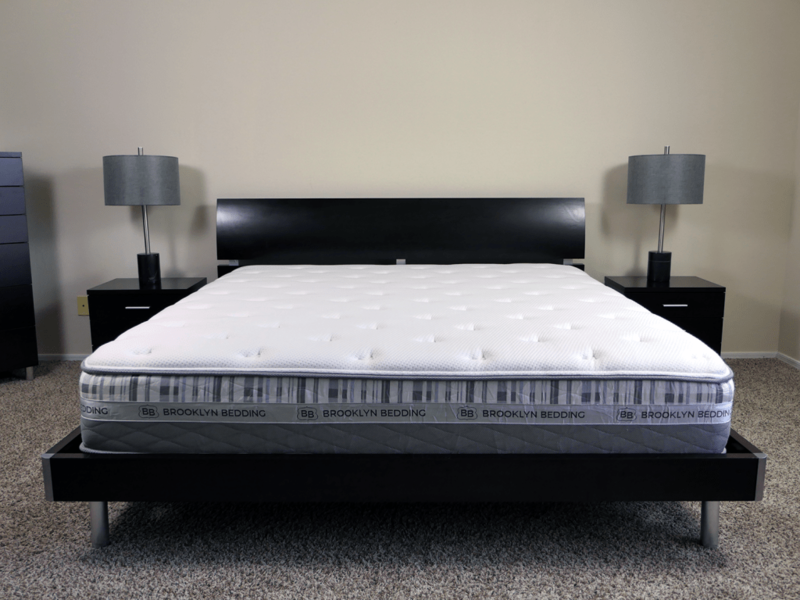 All latex mattresses are made of natural latex, synthetic latex, or a blend of the two. A 100% natural latex only uses the sap from latex trees. Synthetic latex is usually made from styrene-butadiene rubber (SBR). Lastly, you have foams that use a blended mix of both natural and synthetic latex components. Bear in mind that an all-natural latex mattress is not cheap. Plan on spending $2,000 to $4,000 for this type of natural mattress. A synthetic or blended latex will generally fall closer to $1,000. 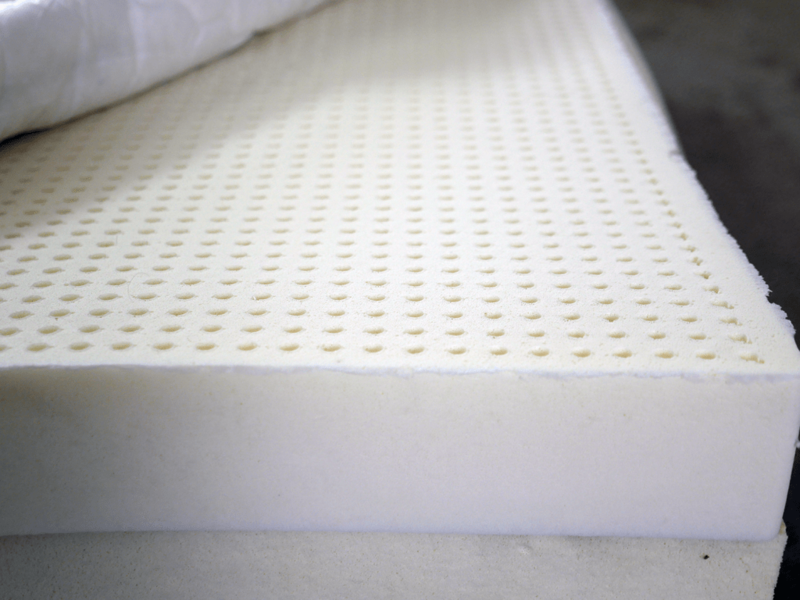 Natural or synthetic latex is usually produced using one of two different methods: Dunlop and Talalay. Dunlop latex is created by pouring a large amount of latex into one large mold, while Talalay latex is created using a small amount of latex with air added to create a lightweight, porous foam. Whether you prefer the feel of Dunlop or Talalay, neither technique affects how natural the foam is; the main difference is going to be in the feel (Dunlop feels a bit denser, while Talalay is bouncier). There are other latex production methods, but Dunlop and Talalaly are by far the two most common. 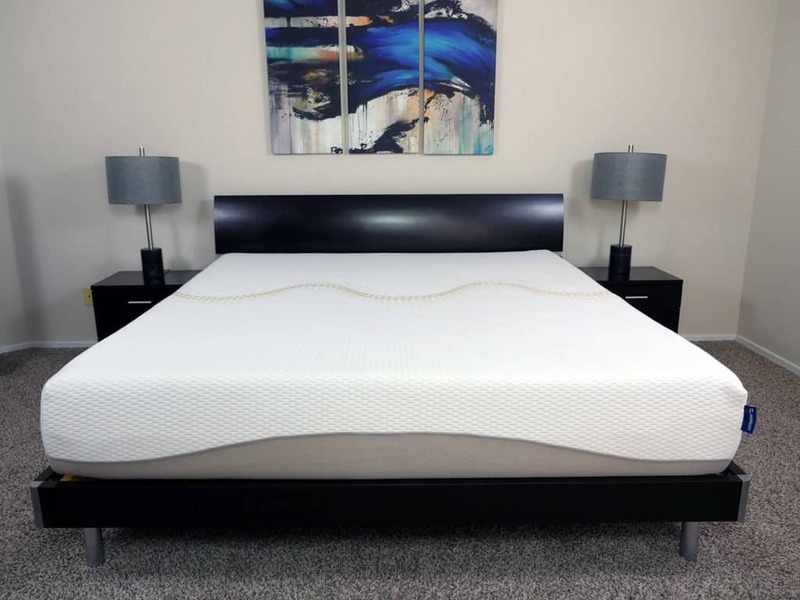 An organic coil mattress typically uses organic cotton batting or natural pillow-top foams in combination with traditional spring or pocketed coil systems. While these may not be the most organic option on the market, they can be a great choice if you prefer the feel of a standard spring mattress. As an offshoot of traditional coils, there are also hybrid mattresses. A hybrid mattress is a mattress that combines a coil-based foundation with foam layers on the top, typically memory foam or latex foam. An organic hybrid mattress is made with organic plant-based memory foam or natural latex foam. What’s the Best Mattress for Natural or Organic Sleepers? There are a number of reasons you may want to go natural or organic for your mattress. Whether it’s for the environmental impact, health benefits, eco-friendly manufacturing, or just to sleep on something a little closer to nature, a natural organic mattress can offer excellent sleep performance without the extra synthetic components. Below is our list of the best natural/organic mattresses. See below for the complete list of certifications on each mattress. All natural construction that uses four layers of talalay latex creating a mattress with a good amount of bounce. 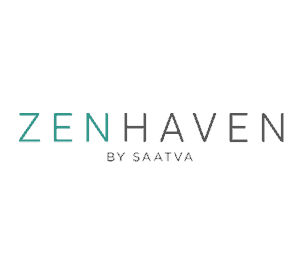 The Zenhaven is flippable to allow for a choice of different firmness levels. $1,899 No Current Offers Read My Review! The PlushBeds Botanical Bliss mattress is an all natural mattress that is made of two layers of latex foam. Thanks to the latex material the mattress provides great bounce and does a good job of cooling, so the sleeper doesn't overheat during the night. $1,699 See Current Offer Read My Review! This is the Saatva company's memory foam model. 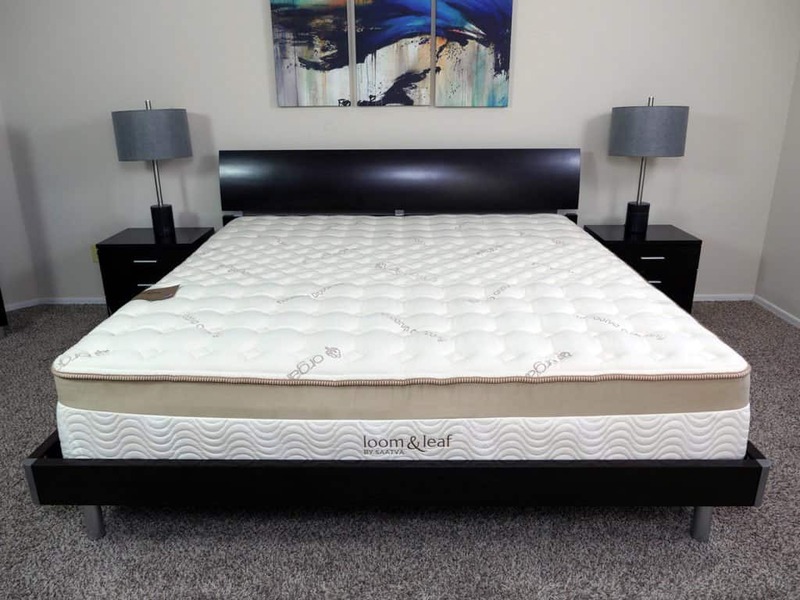 The Loom & Leaf uses an all foam construction, including a memory foam comfort layer, to provide pressure relief with the classic contouring feeling. $1,099 No Current Offers Read My Review! 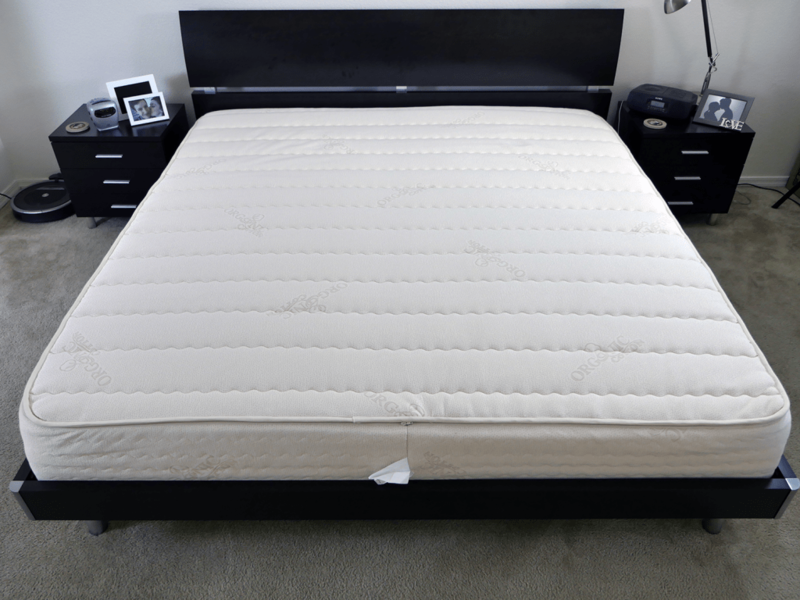 The Spindle is made of three layers of Dunlop latex, creating a bouncy mattress that sleeps cool. The Spindle can be adjusted for firmness and the company offers comfort adjustments up to one year after purchase. $1,349 See Current Offer Read My Review! The Nest Alexander Hybrid Latex uses a combination of 3" of Dunlop latex and a 7" pocketed coil layer that is zoned for improved support. The cover is also quilted with wool for some immediate pressure relief and comfort. $1,199 See Current Offer Read My Review! 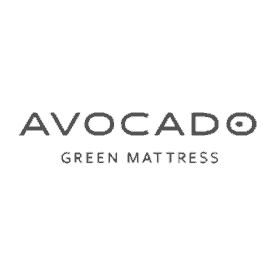 The Avocado Green mattress combines natural materials such as New Zealand wool and Dunlop latex with a pocketed coil system to create a comfortable and bouncy mattress. The materials used in the construction make the Avocado Green a breathable mattress that does a great job of dissipating body heat to keep you sleeping cool throughout the night. $1,399 See Current Offer Read My Review! With a cotton cover and an organic latex comfort layer the Happsy mattress uses these natural materials to create a comfortable sleeping surface. The support layer is made of 8" pocketed coils, combining with the quick response to pressure of the latex layer to give the Happsy some solid bounce. $1,399 No Current Offers Read My Review! The major focus of the construction is the use of organic materials throughout the mattress. The use of organic cotton in the cover as well as the latex comfort layer work together to create an organic mattress for a comfortable sleep environment. There is the ability to choose split firmness levels, for either side of the mattress, for queen sized mattresses and above. $2,999 No Current Offers Read My Review! Why Buy a Natural/Organic Mattress? Buying an organic or natural mattress is a great way to remain environmentally conscious, even when you sleep! 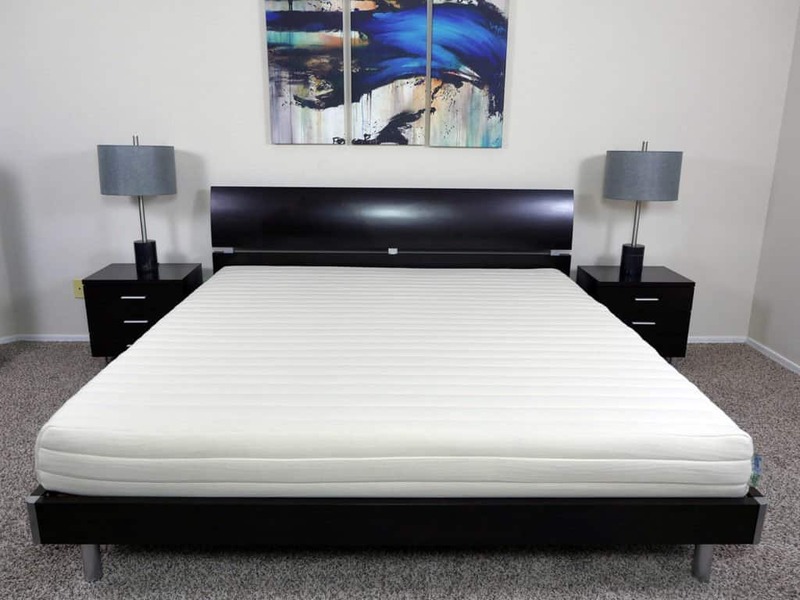 There are numerous benefits, including decreased exposure to chemicals and fire retardants and the fact these mattresses are hypoallergenic, sustainable, biodegradable, and in general healthier. To prove the organic nature of a mattress, look for some of the most popular certifications these natural mattresses can receive, and don’t buy into false marketing claims.